Check out our AMIS FAQs. Health Canada, in partnership with the AMIS Working Group, has developed a national case management data base called the Addictions Management Information System (AMIS). AMIS was first launched in 2014 for the National Native Alcohol and Drug Abuse Program (NNADAP) and Youth Substance Abuse Program (YSAP) Treatment Centres. The AMIS database collects evidence that can be used to inform client care, demonstrate the strengths of NNADAP/YSAP, and support research initiatives over time. We encourage all NNADAP and YSAP Treatment Centres to use AMIS to produce the culture-based evidence needed to further support Indigenous addictions and mental wellness work in Canada. and Health Canada’s First Nations and Inuit Health Branch (FNIHB). In addition, an AMIS Secretariat oversees and guides the process at all stages. 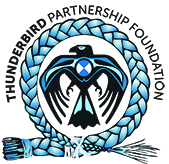 The Secretariat is a smaller group, comprised of representatives from Health Canada, Thunderbird and YSAC. The Native Wellness AssessmentTM (NWA) instrument was launched on June 25, 2015, and is the first instrument of its kind in the world. In addition to NNADAP/YSAP Treatment Centres across Canada, the NWA is now available through AMIS to programs and organizations with an interest in measuring wellness from a cultural and strength-based approach. It can be accessed online through this website (click here). The NWA measures the impact of cultural interventions on client wellness and proves something that First Nations have long known, that culture is the key to restoring and maintaining wellness. An Indigenous approach to wellness is holistic in nature; it takes the whole person into account including their mind, body, spirit, family, and community. This tool is useful for programs that promote mental wellness through Indigenous culture and focus on clients’ strengths. We invite you to see if the NWA instrument is right for your program. A referral function is being developed within the AMIS so that community referral workers will be able to go into the system and complete the Drug Use Screening Inventory (DUSI), which is an addictions and mental health assessment, and get a report back that indicates whether or not residential treatment is the best fit for the client. The referral agent can then make a referral to up to 5 treatment centers that meet the client’s profile and needs. The DUSI has been modified to ensure cultural relevancy and a trauma scale has also been added to the DUSI to ensure that intergenerational trauma and trauma as defined by the experiences of First Nations people can be assessed in a culturally relevant manner. The effective planning, coordination and implementation of the AMIS governance. For more information on the Governance aspect of the AMIS, please contact Sylvia St.George, AMIS Governance Coordinator at sstgeorge@thunderbirdpf.org. The Addictions Management Information System was created in response to a need identified by Indigenous treatment centres for a modern information system, improving data collection, analysis and reporting. National Native Alcohol and Drug Abuse Program (NNADAP) Treatment Centres say the Substance Abuse Information System (SAIS) that is still being used by some, is out of date. The SAIS system, which has been in place since 1994, is not able to meet emerging data requirements nor does it provide the kind of analytical information treatment centres need to provide optimal client care and easily report on their activities and accomplishments. Since the initial replacement application was piloted in a few treatment centres in 2010-2011, Health Canada and the AMIS Working Group have undertaken a number of steps towards the implementation of the new system which have included: investigating the possibility of purchase/installation of commercial off-the-shelf applications (not a viable option), reviewing and refining the technical and functional requirements of the new system, and conducting two Request for Proposals (RFP) processes which resulted in the identification of a successful vendor to undertake this work. The first phase of the project commenced in early February 2012. The first stage involved preliminary planning and developing the pilot solution/application based on the functional and technical requirements outlined in the RFP. The second phase of the project was completed on November 15, 2013. The second phase involved the implementing the pilot solution in seven treatment centres, pilot user training, evaluation of the pilot and the user training, and refinements of the pilot. The third phase of the project was completed in April 2014. The third phase was the full deployment of AMIS to all the NNADAP and YSAP Treatment Centres which included system administration set, online and recorded user training, SAIS data migration, and continued online and live help support. AMIS has been designed according to the needs of NNADAP and YSAP Treatment Centres. It has the ability to adapt to the evolving needs of treatment centres and will eventually link with NNADAP community based workers in the future. The functional and technical requirements around which the system has been built were initially developed in 2008, but were reviewed and refined with the AMIS Working Group in the 2011-2012 fiscal year to ensure the requirements were in line with the current needs and realities of the Treatment Centres. The AMIS Secretariat and Working Group played a pivotal role in moving this project forward.